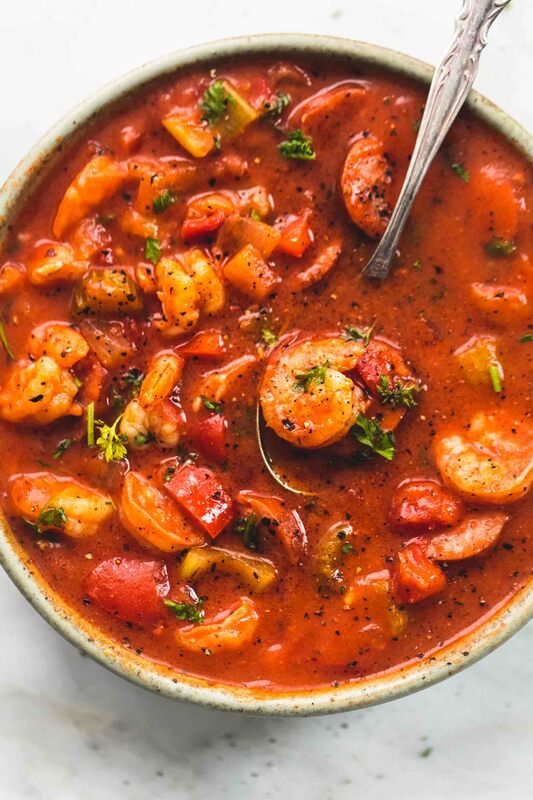 This Cioppino recipe is undeniably a San Francisco original, made famous in the 1850s by Genoese immigrant Giuseppe Bazzuro at his eponymous restaurant. Derived from the traditional ciuppin—which means "little soup" in the Genoese dialect—the dish was originally a puree of cooked vegetables and leftover fish scraps. Over the years, Bay area chefs transformed it into a luxurious stew using local delicacies such as Dungeness crab, as in this version from the city's legendary Tadich Grill. 2 cans crushed Italian tomatoes 28-oz. Heat 1⁄2 cup of the oil and 8 tbsp. of the butter in a large pot over medium heat. Add onions and cook, stirring often, for about 2 minutes. Add carrots, celery, peppers, leeks, and fennel and cook, stirring often, for about 5 minutes. Add crushed tomatoes, tomato paste, 4 cups water, bay leaves, oregano, thyme, basil, and cayenne and season to taste with salt and pepper. Bring to a boil, reduce heat to low, and simmer, stirring occasionally, for 2 hours. Heat remaining 1⁄2 cup oil, 8 tbsp. butter, and garlic in a large, heavy skillet over high heat until fragrant, 1-2 minutes. Working in 2 batches, dredge halibut, scallops, and large and bay shrimp in flour, shaking off excess, and fry, turning seafood frequently, until golden, 1-2 minutes. Transfer seafood with a slotted spoon to pot with sauce, and add crabmeat, cover, and simmer for 10-15 minutes. Add wine to same skillet over high heat, scraping browned bits stuck to bottom of skillet. Add clams, cover, and cook until shells open, about 5 minutes. (Discard any clams that don't open.) Add clams and broth to pot; adjust seasonings. Ladle soup into large bowls, garnish with parsley, and serve with toasted sourdough bread, if you like.